In-home family lifestyle sessions are my jam. I LOVE photographing families in the place where they are most comfortable - it makes for an easy going and fun session and as an added bonus produces some beautiful and authentic images. Even though I might tell you to cozy up in a corner on the floor next to a window, which could seem weird, you're gonna have to trust me. It'll be good. Promise. This family is so dear to my heart, so the fact that they asked me to document these first milestones in their daughter's life is beyond an honor for me. I've watched my friend transition into motherhood so effortlessly, and little Evie is just a delight. 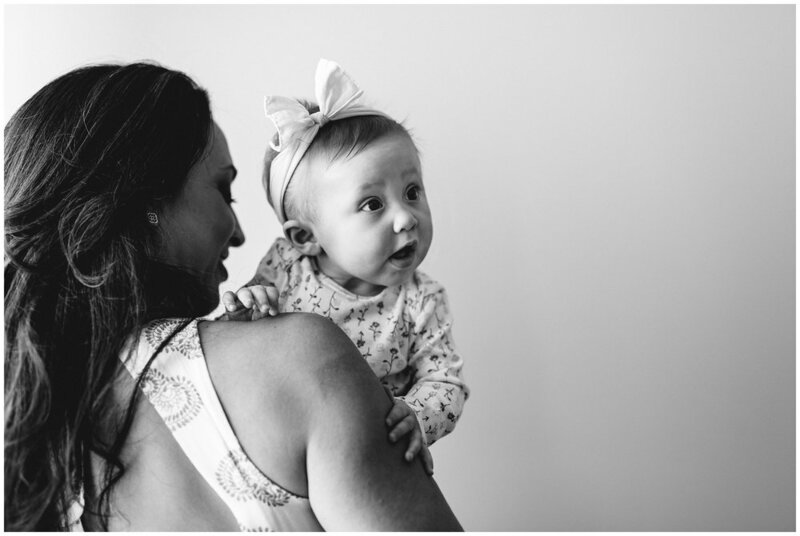 It was really hard to narrow down my favorites for this blog post - but here are my favorite picks from Evie's 6 month milestone session: Jamie Vinson is a lifestyle family, newborn and maternity photographer residing in Raleigh, NC and serving clients across the state and beyond. For more information or to book a lifestyle family session with Jamie, contact her here.